This months Scripture Writing verses focus on the theme of encouragement. After all, who doesn’t need that! If you are not familiar with Scripture Writing, it is a Bible study method that involves, like the name implies, writing verses. Each day has a verse or verses for you to write and they revolve around a particular theme. This month, August, is encouragement. Each day’s verses are designed to take no longer than 10 minutes. But, of course, you can spend as long as want to on it. Read the verses in context, write them, meditate on them. Finally, write how they apply to your life, what you have learned from them or inspiration you have received from them. That is all there is to it. The goal is to get you into the Bible daily to encourage you to live the life you are called to live! 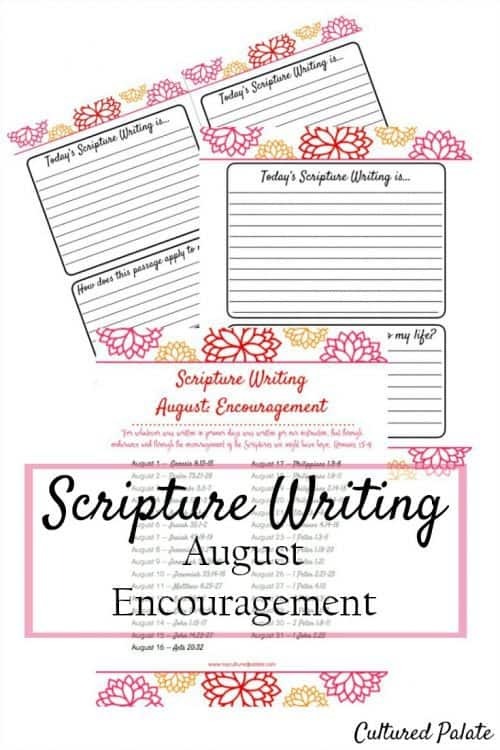 What comes with the Scripture Writing for August? You will receive the verses for each day of the month along with coordinating lined paper to print for a 3 ring binder. There are 2 options for printing the lined paper: full page or half pages for use in smaller notebooks. Both have space for writing your thoughts about the verses and how they apply to your life. The lined half pages print two to a page so you can cut them in half and use in a smaller 3 ring binder notebook. You can see the small notebook I use here. Get Bible Writing for a Whole Year! 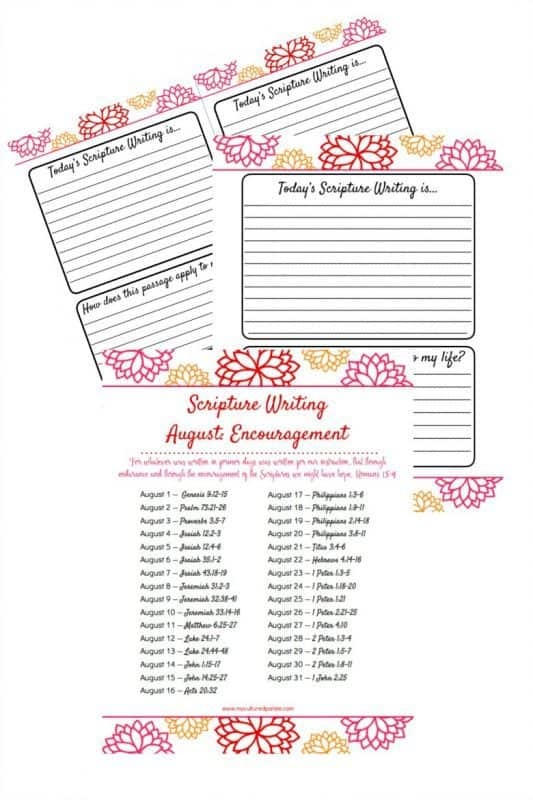 You may find it more convenient to have 1 FULL YEAR of Scripture Writing Prompts. Both sets have different verses for each month: Binder Vol. 1 and Binder Vol 2. 43 pages with different verses for each month’s theme. 2 different Bible reading plans. 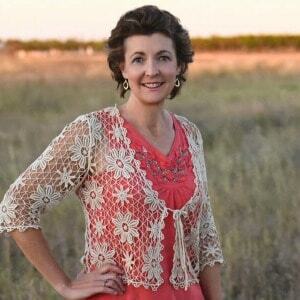 Have you tried Scripture Writing or is it new for you? Aida, I have updated the code – so sorry for the problem. I will also send you an email. Thank you for letting me know!